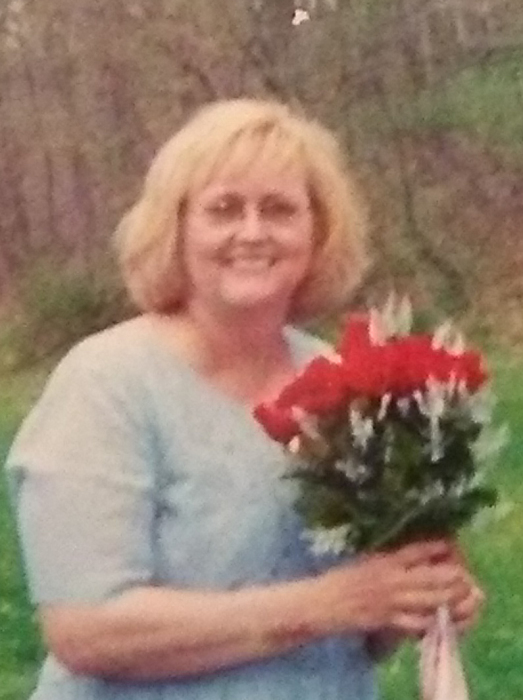 Rhonda Renae Bays, 60, of Rosedale, Indiana, passed away November 2, 2018. She was born March 7, 1958, in Terre Haute, Indiana to Bobby Kirby and Velda (Barnett) Hall. Rhonda worked at Columbia House for several years. She enjoyed gardening, and was a lover of all animals. Rhonda is survived by her husband Dale Bays; daughter Elizabeth Carlson (Jack); grandchildren Jacob Carlson, Shannon Carlson, Abigail Carlson, Renae Taylor, and Samantha Fitzgerald (Levi); great grandchildren Elijah and Adeline; brother Randy Kirby; niece Amanda Dailey (Brent); and nephew Brent Kirby. Funeral services are scheduled for 1:00p.m. on Friday, November 9, 2018 in Greiner Funeral Home, 2005 North 13th Street, Terre Haute, Indiana, 47804. Pastor Jeff Lee will officiate. Burial will be in Pleasantview Cemetery. Visitation will be at the funeral home on Friday, from 11:00a.m. until service time. Online condolences may be made at www.greinerfuneralhome.com .